People from every nation have found themselves deeply immersed in the 2012 Summer Olympics, currently underway in London, and it turns out that horses want to display their national pride too. 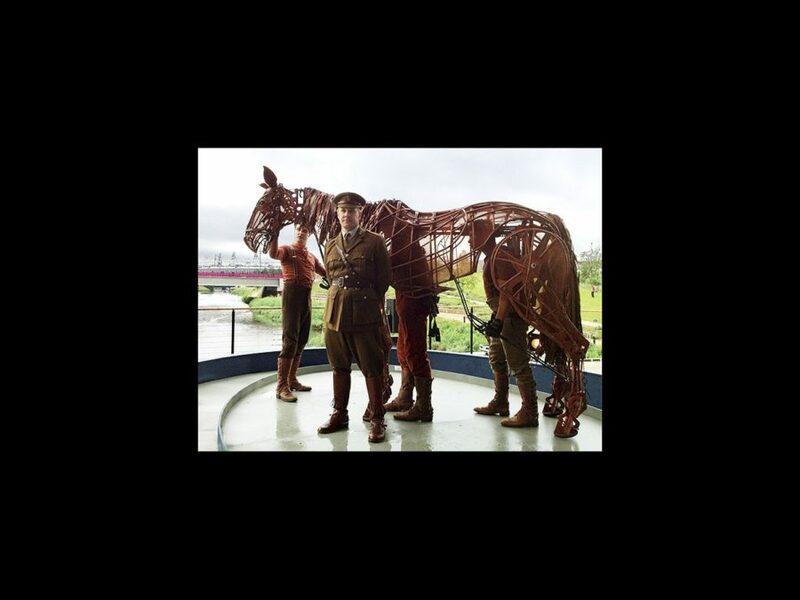 The National Theatre’s company of the Olivier and Tony-winning play War Horse joined in the festivities on July 31 as Joey the horse, led by Captain Nicholls (Alex Avery), appeared on stage at the Olympic park to salute the crowd at Park Live. The event included an appearance by Princess Anne's daughter, Zara Phillips, who later joined her UK teammates to win a silver medal in the equestrian events in Greenwich. A truly international experience, War Horse has productions throughout the world including the U.K., the United States, Germany, Canada and Australia. Check out this patriotic photo, and be sure to catch this magnificent production on both sides of the Atlantic.